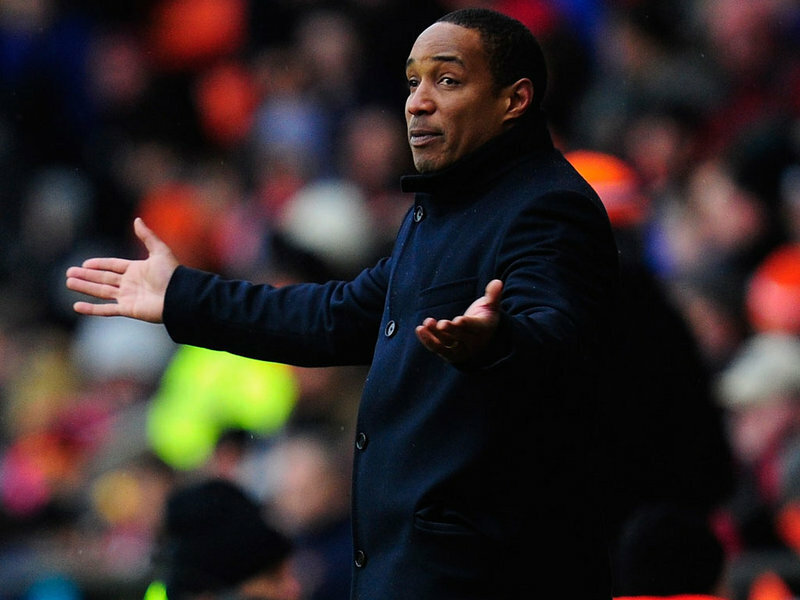 With Championship survival secured before the final day of the season, Paul Ince met his first objective as Blackpool manager by avoiding a disastrous, but at one point entirely plausible, relegation to League One. What his next target is remains to be seen, as the ‘Pool hierarchy continue to keep their ambitions for the club largely shrouded in mystery. This season Karl Oyston admitted that Blackpool have been rudderless which has seen the club leer from crisis to crisis whilst all along carrying with them a contractual time-bomb. Whether this is a part of the Oyston strategy is hard to fathom, but it is without doubt somewhat of a mess. 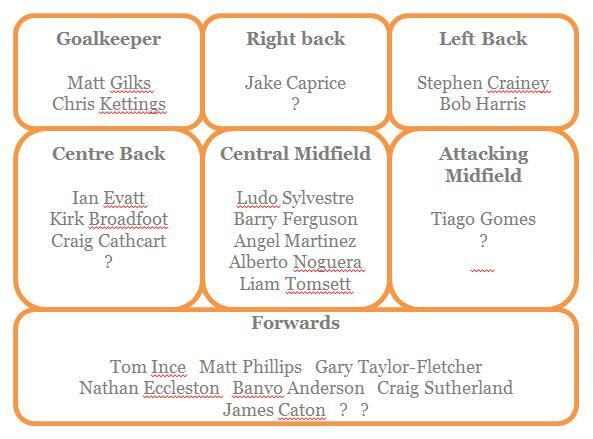 Blackpool currently has a situation where a total of thirty-seven players are in contractual limbo. Twenty-four of these players have contracts where the club can take up an option to extend their contract for a further twelve months. It’s assumed that the power lies with the club here and that the player is powerless to refuse should the club wishes to extend the contract. Obviously each case may have subtleties so it wouldn’t be a surprise if the player has a power to exercise in the process. These in effect should be straightforward yes or no decisions. The other thirteen players are out of contract completely and this brings in factors outside of the control of the club such as agents shopping around for the best deals. Four of the players are classed as Under 24 players so should they leave then the club would be entitled to some form of compensation. Paul Ince has a potentially substantial task on his hands given that he needs to work on two recruitment fronts, keeping those players he wants and finding new players to bring in. Blackpool’s recruitment process has appeared to be slow over recent seasons with deals being crammed in at the final portion of the transfer window. The reasons for this are subject to a whole debate in itself, but it would appear that lack of realism in the transfer window and an uncompromising stance in negotiations appear to have been the greatest constraints. How Ince will approach this contractual mess is of great interest as it will ultimately steer his summer recruitment. It’s unclear at this stage whether not he needs to keep players on to fulfill ‘secondary fixtures’, for the purposes of this article it’s assumed he doesn’t. Ince has already stated in the local media that he wants to negotiate with Ludovic Sylvestre and it’s safe to assume, Gary Taylor-Fletcher. Ince seems to be trying to line up the core of his first eleven as the first stage of his process. This makes sense, especially as his approach this season has been centred around a stable first eleven which is one of his key moves away from the approach that Ian Holloway took. Ince has outlined very broad criteria for his players and this can help to understand who he may look to keep on and bring in. “People ask what’s Paul Ince’s team all about. Well, it’s a team that wants to play football but also will get their hands dirty. Essentially, Ince’s players therefore are required to be able to play and work hard. Hard work is such a difficult measure for outsiders, ninety minutes on a Saturday isn’t a measure of someone’s approach to hard work. Therefore, for the purposes of this article that will be very much an unseen factor and can’t really be factored in here, hence what follows is highly subjective and Ince may well take a different view. Alex Baptiste and Kirk Broadfoot stand out from the other players totally out of contract as they’d be considered first team players, however, Ince has yet to openly talk about these two. It’s likely that Baptiste has a move lined up and it’s fair to say that for his footballing development he really needs to be somewhere and would command a healthy wage increase. Broadfoot would arguably be at the heart of the defence next season, however, his spell at Blackpool will have attracted interest and he will have other offers. Ince may well find out very soon how Blackpool do business. However, it’s more realistic to assume Broadfoot will be in Tangerine next season whilst Baptiste will be elsewhere. Of the other high profile names in that batch, Kevin Phillips will move on or retire, Elliot Grandin will get better offers, whilst Neal Eardley will be released given his utilisation in the first team under Ince isn’t consistent with someone likely to form a part of the first team next year. Of the Under 24 players, Chris Kettings appears a likely choice to stay on and replace Mark Halstead on the bench next season. It’s hard to see how any of the other Under 24 players will remain at the club without a clear pathway to the first team and any noticeable development over the last three seasons. Again this lack of a development pathway could demand an article of it’s own, now isn’t the appropriate time though. Having said that it might be that a player such as Liam Tomsett might be worth keeping in order to monitor their progress. In the other batch of players where the club has an option there are obvious decision which need no discussion, Tom Ince, Matt Phillips, Craig Cathcart, Stephen Crainey, Ian Evatt, Matt Gilks and Barry Ferguson should all be retained. Angel Martinez should be retained as he is a high quality player and would be snapped up quickly should Blackpool release him. He hasn’t figured much under Ince which suggests something isn’t right, but on game evidence, although he can be slow to start matches making early mistakes he adds a balance that Blackpool miss when he is absent. Tiago Gomes has been injured recently but his qualities make him stand out, if his shooting technique matched the rest of his ability then he’d be a devastating player, but then again he wouldn’t have ended up at Blackpool. Bob Harris is an able back up for Stephen Crainey although with his defensive abilities being marginally better than Crainey he might align more closely with Ince’s defensive strategies. Both Isaiah Osbourne and Chris Basham have figured under Ince, however, both have not excelled consistently and it’s hard to see them forming a key part of the first team. Basham is a solid midfielder, but positionally he appears some way short of a player like Barry Ferguson, so struggles to play a deep midfield position well. Added to this his technique and passing isn’t that of Sylvestre so he never really offers much further up the pitch. Added to the fact he is prone to a rash challenge, it’s hard to see him in a clear role. Osbourne is similar, but doesn’t have Basham’s ability working back towards the goal added to an inconsistent first touch. Should these two players be first team players next year they will have to improve or Blackpool may well face a repeat of this season. Previous success was built upon a very good midfield and at the moment the club is short of at least one quality midfielder assuming Ferguson, Sylvestre and Martinez stay on at the club. Of the other players it would be worth keeping Nathan Eccleston, Banvo Anderson and Jake Caprice who have the potential to affect the first team next season. Finally, it would be courteous to give Craig Sutherland another season at the club to aid his recovery from a serious knee injury and loan him out when he’s fit and see where that takes him. Of the two loan players there would be little chance to getting hold of Nathan Delfouneso, even if Villa wanted to sell, would Blackpool pay the fee or meet his wage demands? Unlikely. Gary MacKenzie has certainly done his best in his time at the club, but the move should only be pursued if he shows potential to develop or offers publicly unseen value on the training ground. On game evidence, his defensive ability is some way short of Ian Evatt for instance who despite his recent injury is the best benchmark for defensive quality at the club. MacKenzie gets himself in to some very poor defensive positions, his close marking lacks consistent reaction giving an advantage to opponents. However, he suits more penalty box style reactive defensive work. If Ince has designs on playing ten yards further up the pitch for instance then MacKenzie isn’t the man. Should he sign then that gives a good clue to the way that Blackpool will set up next season. So where does that leave Blackpool should Paul Ince be thinking along the same lines. It leaves a squad of 22 players which by sheer numbers is enough to start the season with. However, a close look at the balance in the squad suggests further recruits will come in. A back up goalkeeper with a decent level of experience is possibly a nice to have at this stage so it would be understandable to see no movement there. A right back is essential along with a centre back to ensure the defence is covered. A central midfielder would also be essential as would someone to play as an attacking midfielder. Even though there are plenty of forwards available, other than Taylor-Fletcher there really isn’t a first choice central striker, so it may be wise in invest there too. All in all Blackpool will need to four or five players in order try and survive in the Championship next season. It’s likely that the volume won’t be an issue, however, should the process fail as it has done in the past quality may be a big issue. Should Ince get his preferred targets then Blackpool may well be looking towards a season of comfort with prospects towards the playoffs. The big concern for Ince will be that this situation shouldn’t have evolved, but that is a part of his remit now as he begins what will arguably be the biggest summer of his managerial career.